My name is Linda Mooney. I use that as my author name, but I also use the pseudonyms Carolyn Gregg and Gail Smith. And I’m…well, let’s just say I’m a grandmother and a retired Kindergarten teacher. I live in south Texas. Born and raised Texan. With the exception of two years when I lived in Nashville, I’ve lived here all my life. I have a Bachelor’s and Master’s degree in music (vocal and education) from Texas A&I University. I taught elementary music for 25 years, then taught Kindergarten and Pre-Kinder for 12 more years until I retired. Hubby and I have been married for almost 34 years. We have 2 sons and one grandson, and another grandbaby on the way. Hubby is a remote staffer for a company out of Nashville. That company makes software that hospitals run on. He’s worked for them since ’89 and hopes to retire in a couple of years. At the start of the new year, I gave myself a challenge. I do something similar every year – challenging myself to accomplish something different. This year I swore to do three things: start a new series, continue/expand a current series, and complete a series. 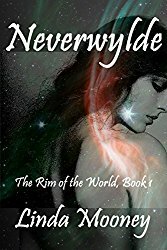 The series I completed was Neverwylde, my sci-fi space opera romance. Book 6 was released in June. The series I continued was when I publishedPredator of the Pines, Book 4 of my Subwoofers paranormal series, which features a group of former military men who are shapeshifters. 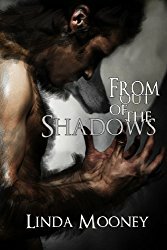 Each man is a different type of creature, and Predator features a bald eagle shifter. With my newest release, I will have completed my challenge. Sky Titans is Book 1 of the Deities series, a contemporary fantasy romance featuring the gods of air, water, fire, and earth, who are commanded by the old gods (Zeus, etc.) to destroy all of earth and mankind. I’ve been writing since I was five years old. It was always some kind of fanfiction, and it my escape from the troubles in my home life. Then, when I was in junior high, I branched off and began writing stories featuring characters of my own creation. I also wrote music to go with my stories, and often fantasized about being a “real” author. I continued to dabble in fanfiction until the 80s when I encountered the television show Beauty and the Beast starring Ron Perlman. I was so hooked, I wrote a dozen stories. Then, at a convention, I came across my first fanzine. I devoured it, and wrote the author a loooong letter telling her why I liked it. I also questioned some of her choices in the stories, but I did it in a way that wasn’t condescending. Remember, this was back in the day when the internet and email was in its infancy. To my surprise, she wrote me back an equally loooong letter confessing that the points I brought up she now wished she hadn’t pursued. We wrote each other frequently, until I confessed to her that I had written a couple of stories. She asked to read some of them, but she explained she did NOT take submissions. She was only curious. She also said, and I can almost quote, “Most fanfic writers can’t write their way out of paper bag, but by your letters, I believe you can.” So I sent her one of my longer stories. Within a week, she declared she wanted to publish it in her next fanzine. In the following weeks, I received half a dozen requests from other fanzine publishers requesting stories from me. When I noted they’d never read anything of mine, their responses were all exactly the same—if Kathy C. wanted to publish one of my stories, and the woman is notorious for not taking anyone else’s work, then they wanted something of mine, too. That was when I began to believe in my writing abilities. Since then, I’ve also written for The Ghost and Mrs. Muir (the Edward Mulhare version), Quantum Leap, The X-Files (for which Chris Carter signed a ball cap to give me), and Zorro (the Duncan Regehr series), to name a few. It wasn’t until 2001, after my husband’s heart transplant, that I felt confident enough and left writing fanfiction to concentrate on my own work. I have absolutely no idea! LOL! My first book that was purely of my own invention was The Battle Lord’s Lady. It was meant to be a standalone, but the characters wouldn’t let me go. There are now 7 books in that series, and I’m about to start a spinoff series featuring Yulen and Atty’s children. When I start a book, one of three things have inspired me: a picture, a line or phrase I heard somewhere, or when a plot hits me from out of the blue. For Sky Titans, it was an off-the-cuff comment I heard someone say one day. Don’t exactly remember where or who or when, but the two words stuck with me. Before I knew it, I got the idea for the series. The following three books will be Sea Lords, Fire Gods, and Earth Warriors. I’m weird. When I start a book, I stick with it until it’s finished. Now that I’m retired, my daily goal is either 1K words or a full chapter. Most times I can accomplish that, but it can also be challenging if I write myself into a corner. As for genre, I am all over the page! LOL! I mix genres like artists mix paint. One book of mine is a time travel, post-apocalyptic, sci-fi, fantasy, futuristic romance. Another is a sci-fi, Western, Steampunk romance with a cyborg. I am so out of the box, it sometimes isn’t funny. But the one genre I’m very hesitant to write is historical, especially if I have to go back in time. I had a bad experience with an editor the one time I tried it, and have never written one again. In Sky Titans, the heroine experiences severe turbulence while airborne. That came from experience. And since I just went through the trials and tribulations brought on by Hurricane Harvey (we were directly hit), I put some of that into the story as well. There are bits and pieces of me in every book, but I think every writer does that, too. Oh, before! I soak up all sorts of info, including pictures and whatnot, so I can incorporate that information into my stories. For example, I was in New York City two years ago, and have since written 3 books using that location. I’d love to go back there again to soak up more. My main go-to cover artist is Ash Roland, who goes by Ash Arceneaux. She did the covers for the Deities series, as well as many, many others. But I also do some of my covers (ex: Vall’s Will, I’m Not Ehrynn Rose, Miracle). I just want to entertain them. I want to give them something different, something they haven’t already read a dozen times before. Believe it or not, I read very little romance. I cut my romance teeth on Kathleen Woodiwiss and JanelleTaylor. I adore horror, and I read a lot of non-fiction. In the horror genre, I’m partial to Jack Ketchum. In non-fiction, I’ve recently finished Hung, Drawn, and Quartered: The Story of Execution Through the Ages by Jonathan Moore. It’s already my career, and I go to work every day loving what I do! Yes! It’s that fact is stranger than fiction. When I was writing Predator of the Pines, I had a hurricane hitting Texas as my major plotline. The day after the book was published, we got hit by Henry. In Sky Titans, the deities are destroying the earth, which means massive rain, flooding, hurricanes, tornadoes, earthquakes, and wildfires. After Hurricane Irma hit, my editor told me in no uncertain terms to stop writing about that, and to write a story instead where she and I both win the lottery! LOL! I have no unearthly idea, although I do have some preferences for a few of my other books. Persistence. Write every day, but write what you love, not necessarily what’s popular. Because if you push or force yourself to “bend to the norm”, chances are you’re not going to enjoy what you’re doing, and the story isn’t going shine. People are always asking me how it’s possible to have over a hundred books published. I tell them I keep after it, and I write what I want to write. It’s as simple as that. If you’re one of my readers, bless you and thank you. It’s your emails and messages, buying my books and audio books that keep me going. If you haven’t read anything of mine, please check me out. I write sweet and sensuous sci-fi, fantasy/UF, and paranormal romances as Linda Mooney. I also write humorous naughty romances as Carolyn Gregg. And I write horror as Gail Smith. Another non-fiction entitled Princesses Behaving Badly: Real Stories From History Without the Fairy-Tale Endings by Linda Rodriguez McRobbie. Yes, I do. It was A Wrinkle in Time. My hubby. Our two Dachshunds. Certain movies. Hearing the National Anthem. Seeing something uplifting and positive on TV or the internet. I’d love to meet with Sir Arthur Conan Doyle and discuss his Sherlock Holmes books. I’m certain there are a few tales he never told. Not really. I guess you could say traveling is my hobby, which I can use for my books. I watch very little TV, although I’m a huge Walking Dead and Supernatural fan. I also get a kick out of Judge Judy. Films? Mostly horror and some sci-fi. Chinese food, barbeque, and seafood. And although my tastes are very eclectic, I like to write with soundtracks playing in my headphones. Travel full time, if I could. I’d love to eventually see the world. Never predictable. Never a dull moment. And if you go to my website http://lindamooney.com and hang there until the window pops up, you can join my newsletter where I post the latest information on releases and hold frequent contests where I give away a swag bag of goodies upon the publication of each new title!